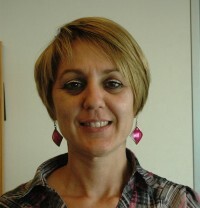 Mari Carmen Dóminguez Méndez, received her degree in ADMINISTRATIVE TECHNICIAN in (2000). Institut Camps Blancs, (Sant Boi). Currently part of the CTTC, since (2009), in the Financial Department.